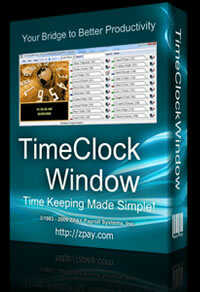 Time Clock Software - TimeClockWindow, easy to use employee timeclock software. Simplify Your Employee Time Tracking to a Mouse Click with TimeClockWindow Time Clock Software! Try TimeClockWindow FREE for 30 Days! Stop wasting lost time and productivity from your current system; save hundreds this year alone with TimeClockWindow's easy-to-use, powerful features. Accurately Process Payroll Time Reports in a Matter of Seconds…not Hours! TimeClockWindow employee time and attendance system was created to make employee time keeping easy as well as affordable. If you are spending hundreds of dollars every year on maintaining an old hardware time clock with costly punch cards or manually tracking employee time, try our time clock software for FREE for 30 days. We are sure you will be surprised at how easy and efficient time keeping can be. No per seat or per computer fees like all of the other time clocks! Yes, the best news is that our software time clock is network ready and can be installed on all of your workstations and used by all of your employees in the same office. No extra costs for workstations or for the number of employees in the company, no limits! Do you keep a manual record of employee attendance information? Are you stuck adding up hours each pay period from an old paper punch time clock card system? Do you want payroll records that are accurate to the second and that use your complex payroll rules? Do you want this in an easy to use system that doesn't cost a small fortune? Do you want just one software time clock system on which all your employees can clock in or out? Do you want this same system to provide you with real time, accurate reporting that uses YOUR payroll rules? 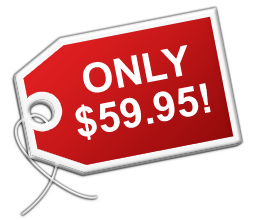 If you said yes, then our low cost time clock software package, TimeClockWindow is for you. 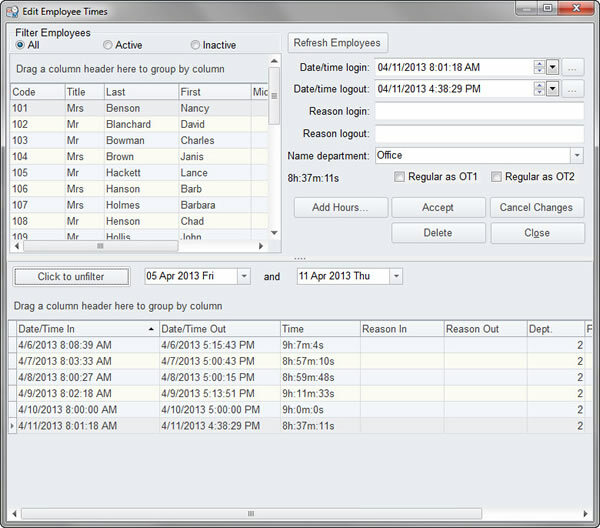 TimeClockWindow allows you to use a PC to record and report on employee work hours. It completely replaces manual time card machines or your hand written time and attendance records. It also eliminates the need for you to spend hours each week compiling your manual systems into a report to supply to your payroll department. TimeClockWindow our time clock software provides LIVE payroll reports generated in just moments that are accurate to the second. No more managing hours by hand! No more spending half a day trying to add up the employee time and pulling your hair out because of messy employee cards that you can't decipher! Automation with our time clock software is the answer! The best thing about TimeClockWindow is that it has full integration with PayWindow, our payroll software found at http://zpay.com. That means full importing employee, company and departments data from PayWindow and pushing the employee hours direct into PayWindow each payday! Starting with the time clock employee interface, as you can see below, it shows you exactly who is clocked in and who is clocked out with color coded tags on the employee "time cards". Red is out, green is in and blue is on break or lunch. There is even a mailbox that shows when the employee has a message waiting when the flag is up. It's so easy to use that you don't need to be a computer expert to set up and start using this time clock software immediately. In fact it's so easy that we sell through the Try-Before-You-Buy method of marketing known as Shareware and we want you to download and see for yourself before you buy it. Use the download link on the top menu to go to our download page. The administrator interface of TimeClockWindow gives you all the tools and power you need to set up and manage your employee time records. And for PayWindow users, it's as easy as clicking a few buttons to import your employees from PayWindow! And if you update any employees in PayWindow, simply re-import to refresh the data. The Employee forgets to clock out? You can edit the "time transactions" to easily fix problems like that. You can even add transactions such as Holiday hours if you have paid holidays, sick time if you pay sick time and even vacation hours. Below is the Edit Employee Times tool from the administrative tools. As you can see, you have the ability to edit, delete and add new time records in this tool. This is just one of the many powerful features to save you time in managing the recording of time that your employees work. Don't stop here, use the Download selection on the top menu of this page and download and try TimeClockWindow for yourself today. It's a FREE download and you can use it for 30 days to try it out. If you like it, come back and pay for it and we will send you an unlock code to keep it working after the first 30 days. To make setup easy we have a number of video tutorials which will give you step by step instructions, click here for the tutorials. If you are looking for a great payroll software package, visit our main website at http://zpay.com and check out PayWindow. This is a full featured affordabe payroll software package that works seamlessly with TimeClockWindow.